If you’re planning to vote in next week’s Supreme Court primary, there’s still time to make sure you have the right photo ID to get a ballot. State Elections Commission spokesman Reid Magney says most Wisconsin voters already have what they need. Those who don’t though are being urged to head to their local DMV service center though to apply for one. 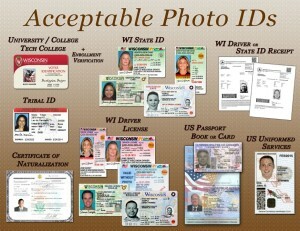 The state does provide free photo ID cards for voting purposes. You will need to bring your birth certificate and proof of residence with you. If you don’t have some of the key documents, assistance is available. Magney notes it takes about a day to get a paper receipt by mail that can be used for voting, so it’s best not to wait until the last minute. The primary is February 20th.